Companies define success in many different ways. For most, it’s how the ledger looks at the end of the month, the quarter, or the year. We made money. We’re successful! At R&M Quality Windows and Doors, that’s not how we define success. We’ve been experts in Dublin doors and windows sales and installation — along with sales and installation in surrounding areas — for more than three decades. Whether you’re in need of help with windows, patio doors, interior or exterior doors, we know how to help. Throughout our time, our definition of success has been very simple: Is every customer completely satisfied? Have we done everything we can do to ensure every customer got the best products and services at a fair price? At R&M Quality Windows and Doors that’s the foundation of everything we do. That’s why we sell only the very best products from industry leaders such as Milgard, Simpson, and Amerimax. We never use subcontractors, only our own friendly, thoroughly trained and detail-oriented employees. That’s why we hire only the most professional, customer service-oriented workers for everything from answering the phone to installing your Dublin windows and doors; we never try to up sell you on products or services you don’t need – our free in-home estimate has only one goal, and that’s on providing you the right solution for your doors and windows installation needs at a reasonable price. We’ve never had a single complaint with the Better Business Bureau, and that’s more important to us than any sales record. In Dublin and across the greater San Francisco Bay Area, we treat your home like it’s our own, from being careful to keep all work areas clean and safe to always showing up on time, because your time is valuable. We stand behind every single doors and windows installation we do 100 percent, and if you ever have an issue, we’ll rectify it ASAP. As thrilled as we are to have many great reviews from customers, we’re proudest of all that a gentleman in Mountain View took the time to laud our company in a review on Yelp — and he isn’t even a customer! As you can see if you check out the link, he was receiving estimates of several hundred dollars from various companies just to visit the house. When he called us, we told him he could probably fix it quickly for free, which he did. That’s the kind of satisfaction we strive for with everyone we meet. 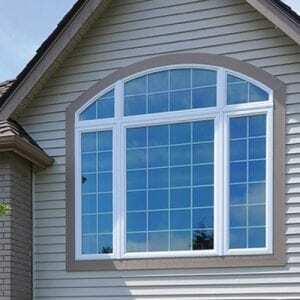 Needs for your Dublin, CA windows and doors installation can have many aspects. Whether you’re in need of replacement windows, front doors, interior doors, patio doors, or new construction windows with stucco matching, R&M Quality Windows and Doors has the experience and know-how to make sure you get your money’s worth for your Dublin home every time.